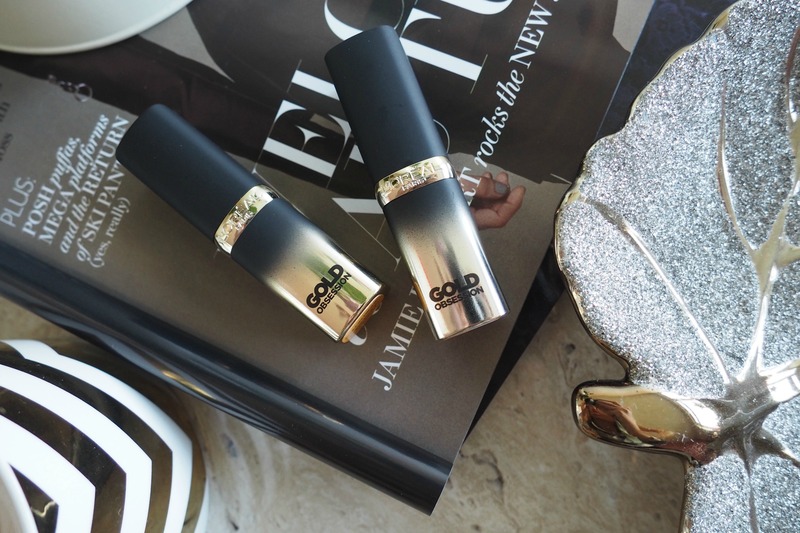 First let’s take a look at the packaging, it’s such a pretty ombré tube and the gold inside makes these lipsticks look a lot more expensive than they actually are. I appreciate beautiful packaging and this really is rather special, very classy and statement making! When I swatched both lipsticks I was really happy to see just how pigmented they are. 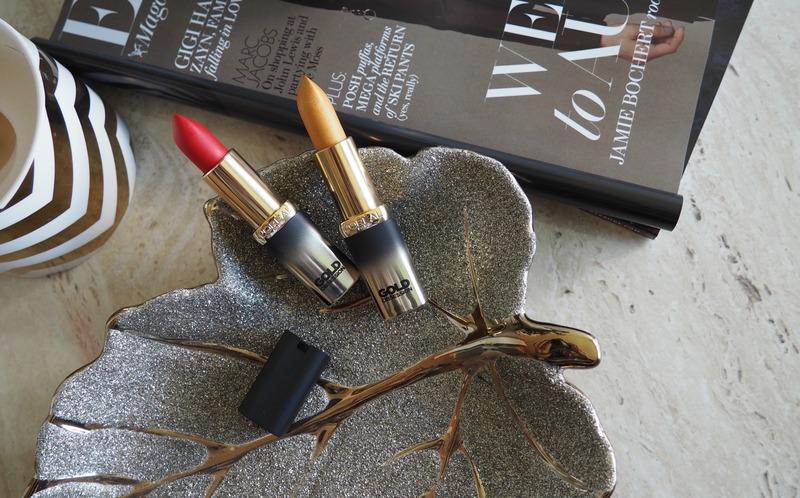 The consistency is really glossy with high shine, magnified with the tiny shimmer particles distributed throughout the lipstick. They are absolutely stunning! 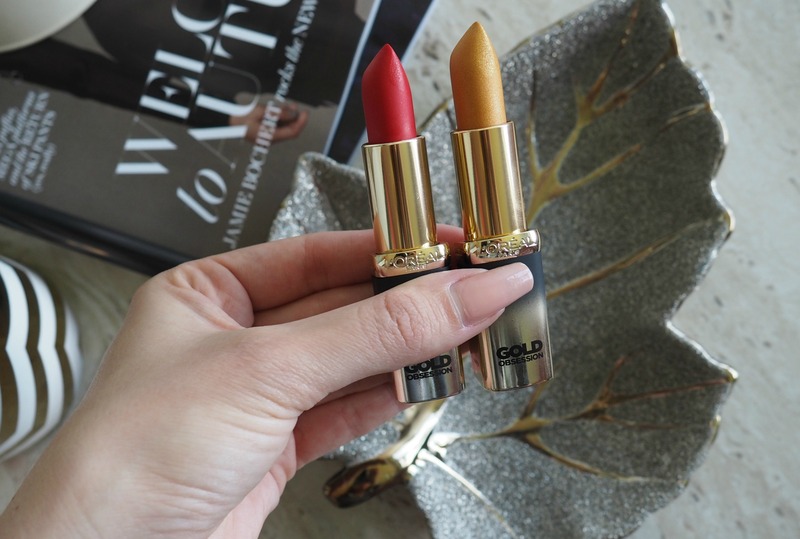 For £6.99 (here) these lipsticks are incredible! They feel very moisturising on the lips and really comfortable to wear, the only downside is you do need to reapply each time you have something to eat or drink, but that’s really not a problem. These are so nourishing, which really helps if you suffer with dry lips, especially as the weather becomes cooler. 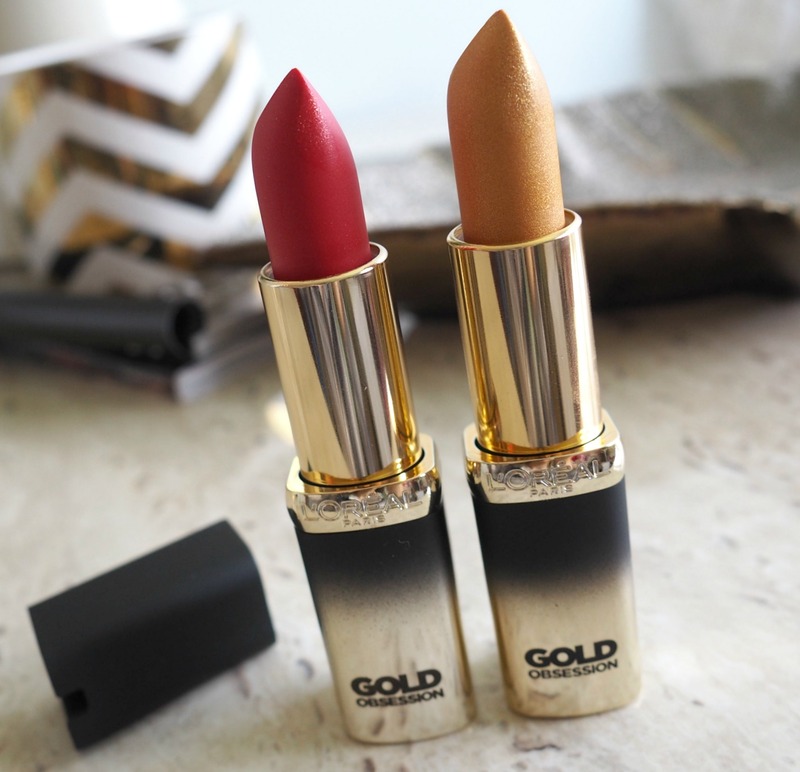 Overall I’m very impressed with these lipsticks and now I want the rest of the collection! I’m kinda liking the Metallic Lip trend, and have been enjoying layering the gold shade over the red to get that Ombré Metal effect, I also think they will be perfect for any Halloween or Christmas party.